J. Cole Releases “Middle Child” And It’s Everything! The international rapper, J. Cole had us all eagerly anticipating the release of his song, “Middle Child” and he built the momentum even further by wiping his Instagram. Now the rap sensation’s first music delivery of 2019 is here and it is everything fans hoped it would be as. The single which is centred around the theme of competition touches on his beef with Drake while Cole also references rappers like Kodak Black, JAY-Z and 21 Savage. Asides referencing other rappers, Cole also name-drops NBA all-star LeBron James and notable Black artists Bob Marley, novelist and social critic James Baldwin, and ’70s soul group First Choice. 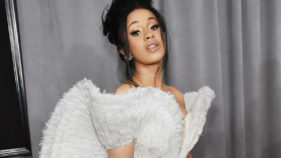 The track was produced by T-Minus who worked with Cole on his 2018 highly acclaimed album, “KOD”. It is unsure if “Middle Child” is a stand-alone project, be a part of his third volume in Dreamville Records’ “Revenge Of The Dreamers” compilation series or whether it will be on his previously announced solo album “The Fall Off”, which Cole has been teasing as of late. Prior to releasing the track, the 33-year-old Cole teased “Middle Child” by going on an amusing Twitter spree by tweeting out pictures of middle children, including some famous faces. Listen to the track below and let us have your thoughts about it.